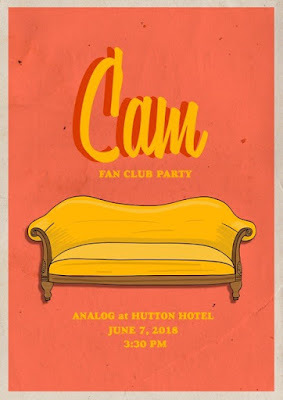 Cam to Host Fan Club Party during #CMAFest! Cam has announced that she will be holding a fan club party at Analog at the Hutton Hotel on Thursday, June 7, 2018 at 3:30 PM! Tickets are on sale now for $50. Fan club membership IS NOT required. When: Thursday, June 7, 2018 / 3:30 PM!